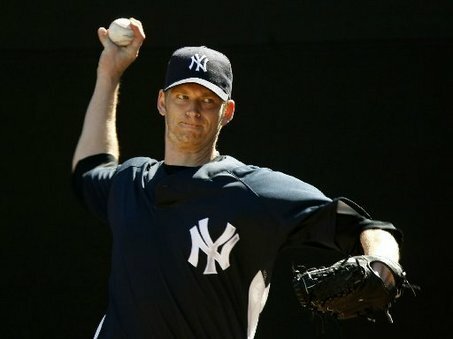 – A.J Burnett must have read my blog yesterday on how he is Mr. Inconsistent for the New York Yankees. He struck out 4 and allowed 4 hits and 1 run over 5.2 innings in yesterdays 10-1 thrashing of the Tigers. He didn’t necessarily have the greatest game in the world however, and a lot of credit can be given to other players on the Yankees for saving Burnett’s performance during the game i.e Curtis Granderson for making 2 stellar plays in the outfield that prevented scores for Detroit. A.J Burnett shouldn’t have really gotten past the first inning with the way he was playing early on. There was already a man in the bullpen midway through the first. In the end, Burnett stayed in the game and did not cost the Yankees, and that is all that really matters. Now this series goes to a fifth and deciding game in New York, and the Yankees have all the momentum on their side. New York Manager Joe Girardi has come out and stated that star ace C.C Sabathia will be available on Thursday if needed, which would be huge for the Yanks. It doesn’t appear that Tigers star Justin Verlander will be ready to go, so if New York can get Sabathia on the mound and not have to contend with Verlander, then that makes me even more confident in picking the New York Yankees to win game 5 and advance to an ALCS matchup with the Texas Rangers. – It figures that we were are not able to get through 1 NFL season without some sort of Brett Favre story. 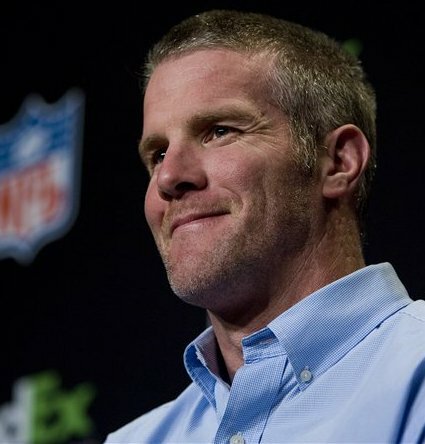 Favre is under fire after making some “back-handed compliments” towards current Packers QB Aaron Rodgers on an Atlanta radio station. Without going to in-depth about what Brett said, he did make comments about how Rodgers fell into a “good situation” and that he was surprised on how long it took for Rodgers to win his first ring, considering the amount of talent he has surrounding him. Personally, I am so done with Brett Favre and all the drama that surrounds him and his attitude. Regardless of whether he meant to take a shot at Aaron, it still came out in a negative way. Brett Favre shouldn’t have opened his mouth in the first place. Why make a comment like that in the first place? You are not Aaron Rodgers. He apparently must be worried that the success Rodgers is obtaining in Green Bay is tarnishing his legacy. Rodgers has won a Super Bowl earlier than Favre did, and is playing the game of Football with an effeciency and effectiveness that Favre rarely showed. He is a glory hog, plain and simple. All these years of “Will he? Won’t he? come back and play football labeled Favre as that kind of person. Obviously, despite the context of the comments, people are going to look at what he says and take it as literally as possible and nit-pick at them to find every negative they can. Just leave well enough alone, allow Rodgers to continue being the best QB in the NFL and stop causing unnecessary drama. 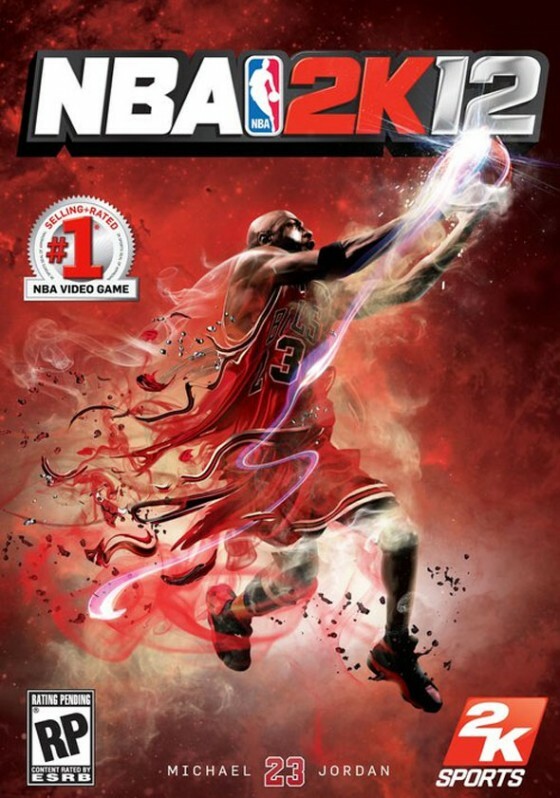 – Video Gamers and Basketball fans can rejoice, because NBA 2k12 is now available for all video game consoles. The hype behind this game is huge since this time around, you will be able to play not only as Basketball icon Michael “His Airness” Jordan, but also as 15 other legendary figures in the sport and the great teams that they played for. One of the ways 2K sports is promoting this game is by asking fans of the series who they think is the greatest NBA team of all time. Legitimate claims can be made for the 1986 Boston Celtics, the “Showtime” Lakers and “The Bad Boy” Pistons, but ultimately only one team can be called the best of the best….. The 1995-96 Chicago Bulls……why are they the greatest? 1) They won the NBA Championship in 6 games against the Seattle Supersonics 2) They set an NBA Record by winning 72 games during the regular season 3) They possessed arguably the greatest trio in NBA history (Michael Jordan, Scottie Pippen, Dennis Rodman) 4) All 3 of Jordan/Pippen/Rodman made the All-Defensive First Team, which was the first time in NBA history that 3 players from the same team won that distinction. 4) Michael Jordan (The greatest NBA player ever) led the league in scoring at 30.4 ppg. 5) Dennis Rodman led the league in rebounding at 14.9 rpg. 6) Toni Kukoc won the 6th Man of the Year award 7) Michael Jordan won the “Triple Crown” of MVP’s that season, winning the seasonal, all-star and finals MVP awards 8 ) Phil Jackson won another NBA Coach of the Year……I rest my case. If you want to see some other thoughts and opinions on which team is the greatest, then check out the NBA 2K12 ad “The Great Debate” below where personalities such as Drake, Brian Wilson and Mark Cuban make their picks for which team is the greatest of all time. By the way, Drake’s pick is completely ridiculous.